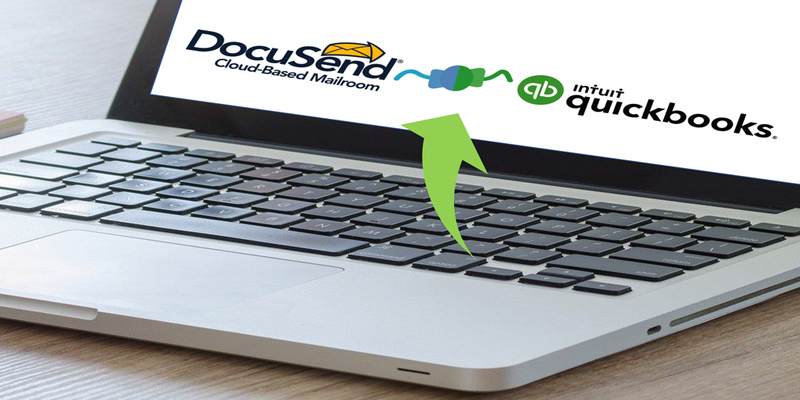 Invoice Mailing App for QuickBooks Online Users|DocuSend. Written by: Alice Witherow, Director of Sales & Marketing, DocuSend. Why should small business owners consider an invoice mailing application? The primary reason is simple. As a small business owner, you cannot do everything on your own. To run your company successfully, you have to outsource, delegate, and automate specific tasks, particularly those that are repetitive and don't require your management expertise. Invoicing is essential for any business owner who wants to get paid, but printing and mailing invoices is a monotonous, time-devouring burden that can't be ignored. It's also a simple, repetitive task that can be done by anyone. Rather than spend your time on this function, you can automate it—freeing you to focus on other competencies for business growth and strategy. ✅ An app can free up some of your time. Consider an app like DocuSend for QuickBooks Online. Once you launch this app from the Intuit app store and your client data is imported, you can mail your invoices in minutes, allowing you, the business owner, to do all the other important things like sales, marketing, staff training, product development, and so on. ✅ A QuickBooks Online invoice app provides a professional document which lends credibility to your business. Using the DocuSend app ensures a high level of accuracy. The app includes an Image Bank archive and report system that keeps track of your mailed invoices and prevents you from any undue slip-ups. ✅ The use of an invoice distribution app ensures a precise level of consistency, which in turn promotes customer loyalty. When it comes to billing, nobody likes surprises, least of all your clients. An invoice app helps ensure you can generate invoices in a timely and efficient manner—without missing one, double-invoicing, or invoicing late. ✅ When you invoice with the DocuSend for QuickBooks app, it allows for a high degree of nimbleness, since it is cloud-based. You can invoice on the go, from your phone or tablet, and then follow up on your PC back at the office. It all comes down to automation. Invoicing is a mandate for business owners who expect prompt payment. Instead of devoting countless hours for printing and mailing your invoices, unburden yourself from manual invoicing and stop drowning in paperwork, all while knowing that it’s getting done efficiently. If you are not a QuickBooks Online user, just visit www.docusend.biz and upload your files directly to our production facility. DocuSend’s cloud-based mailroom service works with any accounting software, and your documents are mailed by the next business day.